ODI Futures: Who owns open agricultural data? – Open Data Aha! Home › Benefits of open data › ODI Futures: Who owns open agricultural data? CABI is a nonprofit scientific research, publishing and global development organisation. CABI runs the global Plantwise programme, which works to help farmers keep a greater yield of what they grow, with improved knowledge of pests and disease outbreaks. 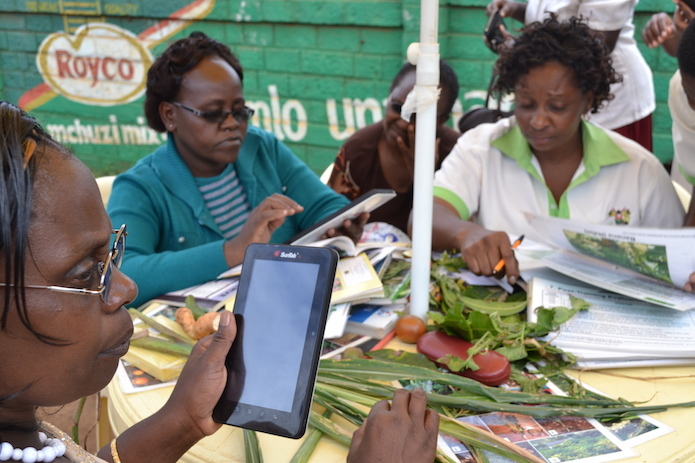 Launched in 2011 and working with partners in diverse areas from Bolivia to Uganda, CABI’s Plantwise programme establishes and supports sustainable networks of plant clinics – run by trained ‘Plant Doctors’ – where farmers can find practical plant health advice. The programme has developed a knowledge bank to share Good Agricultural Practice and a very high level of anonymised data about incidences of plant pests and diseases. As a global community, we face the wider challenge of creating capacity around the world to collect, manage, clean, label and interpret data, and to do so in a cost-effective and sustainable manner with collaborative national adaption and funding schemes. Martin Parr is a Head of Open Data at CABI at the ODI. Follow Martin on Twitter. If you have ideas or experience in open data that you’d like to share, pitch us a blog or tweet us at or tweet us at @ODIHQ.